Here we are a week into 2018 - I hope it's treating everyone well so far. After last week's musings on the year gone by, this time I'm looking forward to what sewing may be in store! Randomly Happy has been doing a 'Maker Capsule' series which I touched upon a while back, but I've really taken this into account when thinking about what I want from my makes this year. 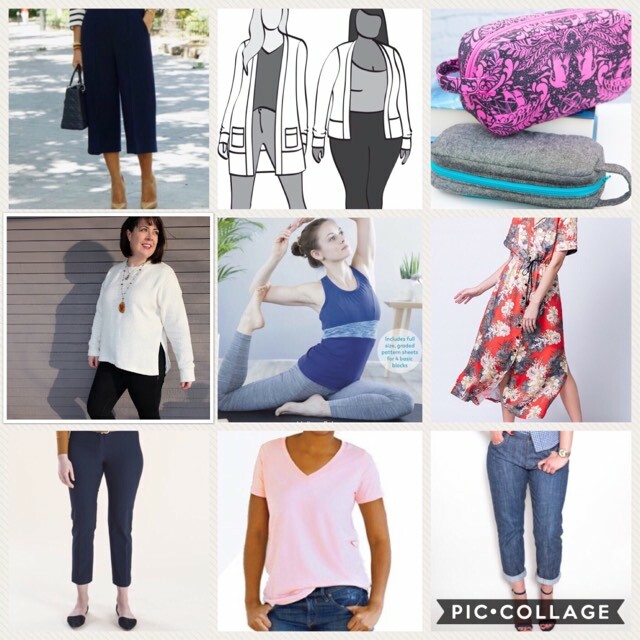 It looks at what you actually do with your time, then takes inspiration boards that you filter down to things you would actually wear and would be practical to wear in your life. Then you can look at suitable patterns and adjust accordingly. I now work at home ALL THE TIME so my need for any kind of formal wear is nil. Neither do I want to spend all day slouching in PJs despite the reputation home working has! My activities generally consist of being at home, being at the gym or yoga, tortoise welare working outdoors, or out with friends in more casual settings. Whatever I may be doing the ultimate goal is comfort and movement. Daytime secret pyjamas - comfortable for being at home, smart enough to open the door/nip to shops! So really the things I actually like are really basic and simple. To keep things from getting too dull though I'd like to add a bit of personality - I love the patches on shirts and these pimped up tees! To go with comfort factor obviously means staying way from buying quilting cotton for clothes! Soft viscose, ponte, jersey, silks (maybe :-/ ) is the way forward. 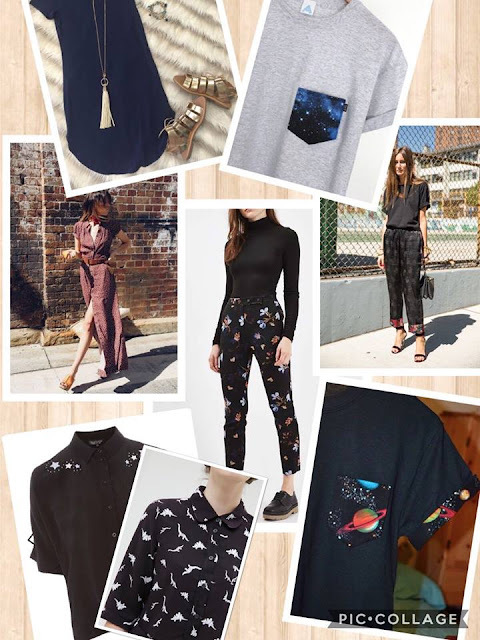 Quirky chic. Let's try this. Sew Sweetness Patterns - I have so much novelty print it's untrue, time to channel that into bag making!! Toaster Sweater (Simplicity version) - Meg totally put this on my radar with her white version shown in the pic. Perfection. These are lovely choices! 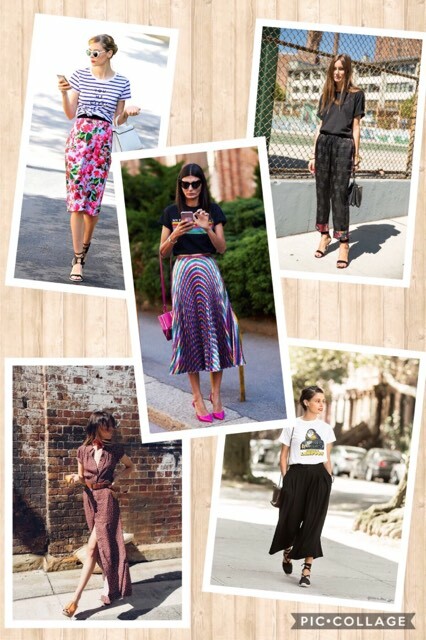 I love those black culottes, I’m really looking forward to seeing what yours look like! Are you going to base the pattern off of one you already have or design it completely from scratch? Promising plans! I'm looking forward to seeing what you come up with! !